What counts more than money, things, activities, entertainment or even a clean house? It is like having a keychain packed full of keys and on it is this really little one, you know, that one random key that you are not sure what it is for but you are afraid to throw it out? What if on the packed keychain of your life, you find out that there is a key that unlocks a vault where all the richest treasures are stored? You would use it, wouldn’t you? That key is faith in Jesus expressed through love. Jesus told His disciples in Luke 17:6 that they didn’t need to have big faith. He said that if they put into action the little faith they did have, mountains would move. Just a lil’ bit, that’s all you need. It’s not the size of your faith but the size of your God. A tiny bit of a faith, a glimpse of an idea, a crumb of hope, that is all. Get a little bit of the dream Jesus has for you, add love and put it into action. Take a little bit of hope in his power, add a pinch of faith and do something. When you are at that place where it seems a positive change is more like turning the Titanic than turning a key, get with Jesus. If you need faith for your situation, He will let you use His. If you need to remember the dream, ask God, He dreamt it first. If you need hope and a bit of encouragement, He is the God of all hope. You just need a little bit to start with. What is the Lord’s vision for your life today? What can you do with the little faith you have? How will you express it through love today? You don’t have to have the whole plan to implement what God has shown you. Even a glimpse of what God wants for your life can be powerful enough to start an avalanche of transformation. Action trumps intention every time. Intentions do not lead to freedom, actions do. Intentions do not bring joy and blessings, actions do. Intention does nothing for you or those around you, actions do. Ask that person for forgiveness. It doesn’t have to be big, it just has to be done. Even if it is only five minutes, take a moment today to plan. To ask God for direction and wisdom. For vision and hope. When you “plan” with God (hold the plan gently), you set the rhythm of the next season with Him. Not with the old habits, not by the new urgencies, or by the always present necessities, but with God. With His wisdom, His vision and His faith. Take some time today to plan the things you want to do in the next six weeks. His priorities. What do you want to do on purpose? 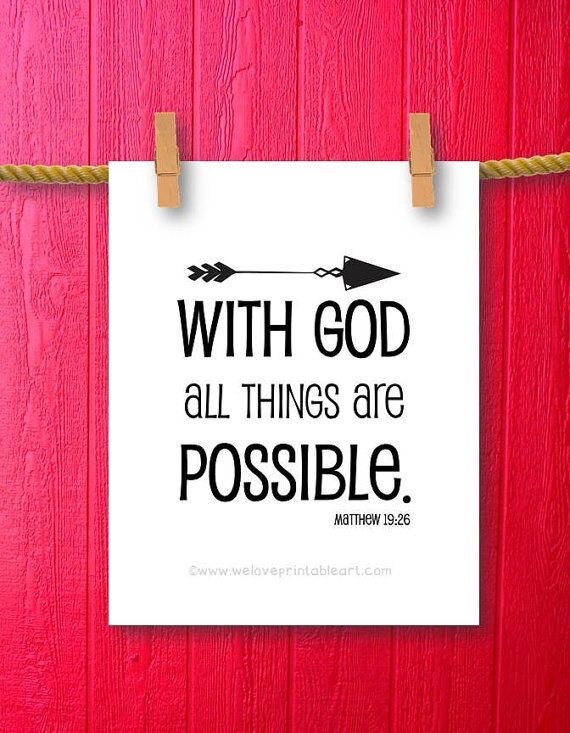 What is possible with God?